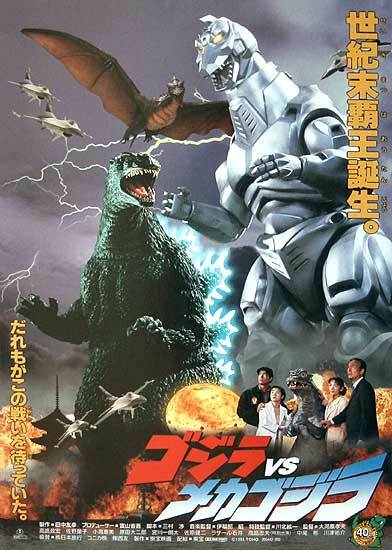 Godzilla vs Mechagodzilla II (1993) – SKREEONK! 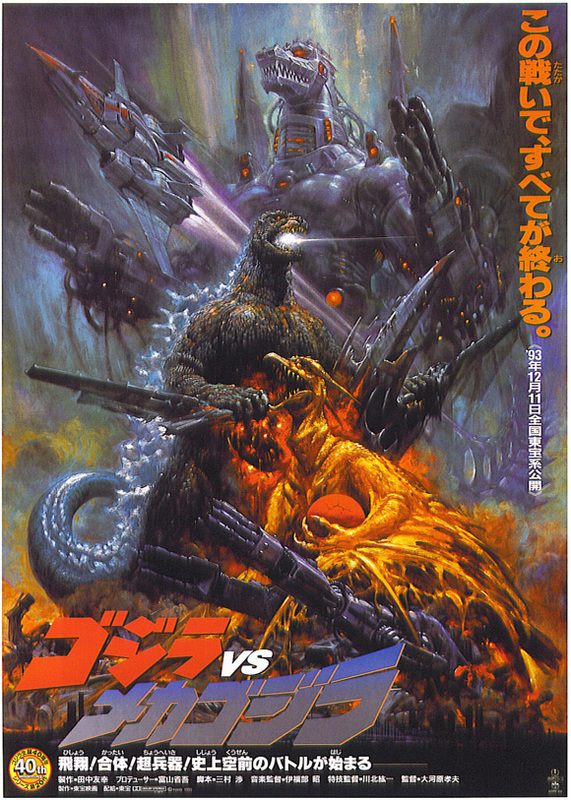 Simply released as Godzilla vs Mechagodzilla in Japan (ゴジラVSメカゴジラ Gojira tai Mekagojira), the title is often ended in a”II” or “2” to avoid confusion with the original 1974 effort by Toho. This movie rocked my socks off the first time I saw it. A unique and powerful theme by maestro Ifukube teamed up with well-coordinated fight scenes leads to one heck of a ride. Like any Godzilla movie though, it does fall short in some areas. 1) Acting and overall dialogue: As usual, the acting is at or slightly above par. No characters really stood out from the crowd (except Miki Saguesa and her Mickey Mouse ears). Acting seemed to be a problem that the Heisei series never seemed to master. The dialogue is laughable, such as lines like, “Wha–? Where the hell is that jackass? !” and, “Baby,” (I counted the times the one woman said “Baby” and it topped out around eighteen. A ridiculously high amount if you ask me). 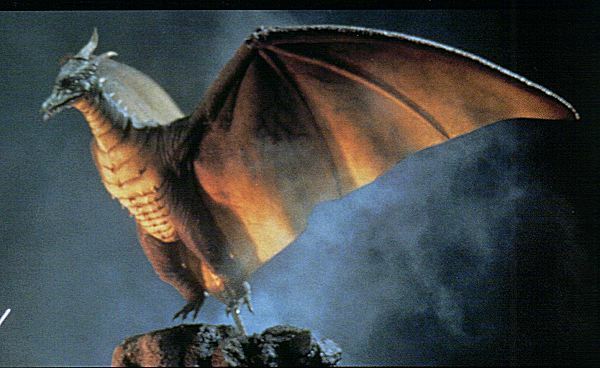 2) Rodan. Stiff, stiff stiff. That’s the only way I can describe him through his time in the movie. His legs are basically two pegs that can’t bend or do anything animal-like at all. His wings also were pretty cardboard cut-out as well. Other than that, he looks pretty great, with some spectacular detail in his close-up shots. Closing thoughts? A great movie. Mechagodzilla may have crossed over to the military, but he is still one of the strongest monsters out there, and this movie proves it. The score is great, the special effects are good, and Baby Godzilla may be the cutest Kaiju in all of the series. Posted on September 2, 2011 0 By Jon D. B.	Kaiju Movie Reviews! Posted in Kaiju Movie Reviews!, Toho Movie Reviews! Previous Post Collector’s Update: DEMEKING Hyper Hobby Exclusive!